← Pig ear stir fry!!! I think I’ll take a bun instead. The poem is cute and clever, but Nash got it wrong in so many ways. Webster’s may well have written that as a definition, but sweetbread is, in fact, a general term used to describe the pancreas and thymus glands, when prepared for human consumption. Of these two glands, the most commonly used in American restaurants is actually the thymus. 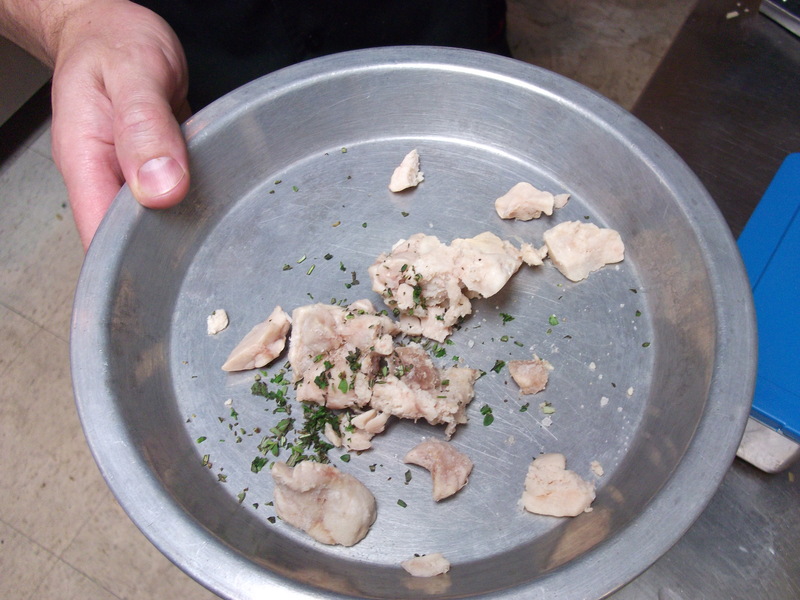 Sweetbreads are delicious! What is your problem dude? They are kind of creamy but firm, as if they were caught dead between the texture of fat and meat. It sounds weird, but is actually quite nice. To me, they almost have a similar textural sensation as the wings you get from pizza delivery places, the ones that are super soft and fall right off the bone. Sweetbreads don’t have a strong taste, but they are great carriers of flavor. 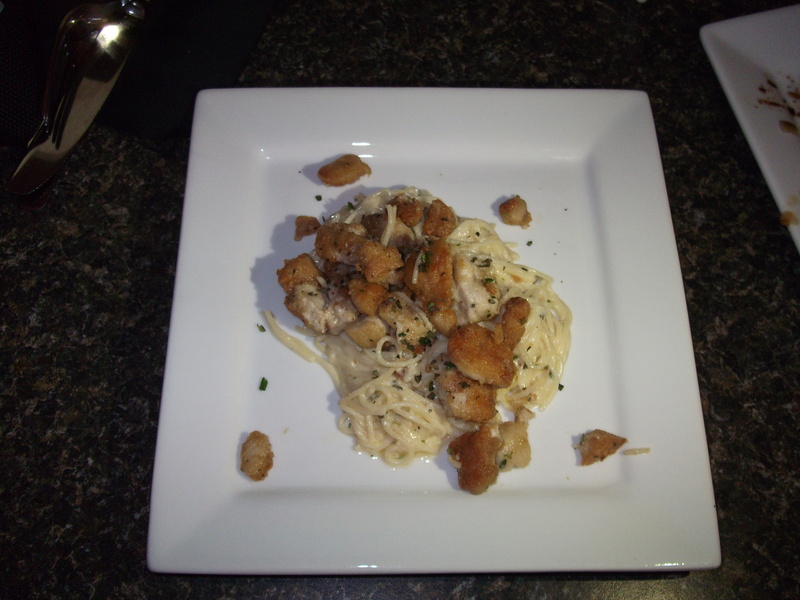 I decided to deep fry some sweetbreads and serve them over pasta with olive oil. To prep the sweetbreads, first soak them in cold water for an hour, changing the water after thirty minutes. Remove from the cold water, and boil them for 20 minutes, till they plump up and feel a bit firmer to the touch. Pull off as much of the outer membrane as possible, and cut into bite sized pieces. Cook the pasta in salted boiling water for 4 minutes, drain and set to the side. Then heat two inches of vegetable oil in a pan with high walls, heat to about 300 degrees, or until wisps of smoke begin to appear (at which point you should reduce the heat and begin frying). Roll the sweetbreads around in flour until they are completely coated. Drop into the oil, and fry for about three minutes. Remove from the oil, let drain on a paper towel, and season with salt. Saute Noodles in olive oil, and add a pinch of fresh chopped herbs, parsley and rosemary, for example. Plate the pasta, and drop the sweetbreads on top and finish with freshly grated parmesan, or pecorino cheese. This is a simple, classic preparation for sweetbreads, easy to execute, and delicious. The Pig’s Heart is Simple… so is this preperation for it.